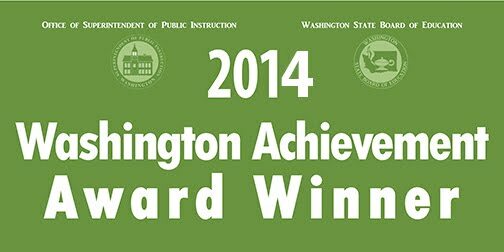 Three schools in the Battle Ground Public Schools district have earned 2014 Washington Achievement Awards, ranking them among the highest performing schools in the state based on three years of academic information. CAM Academy was recognized for overall excellence, Pleasant Valley Primary for English language acquisition, and Pleasant Valley Middle School for math growth. The Washington Achievement Award is sponsored by the Office of Superintendent of Public Instruction (OSPI) and the State Board of Education. Award winners are selected using the state's Accountability Index and the Elementary and Secondary Education Act (ESEA) Flexibility Waiver. "Honoring successful schools is one of the most important things we do," said Randy Dorn, state superintendent of public instruction. "We know schools are doing great work and are getting better at serving all students every day. We may not be where we want to be, but we are making progress. These awards celebrate both achievement and growth." The award-winning schools will be honored at a ceremony on April 28 at Spanaway Lake High School in Spanaway, Washington. The WAA criteria and list of winners is available online.